Imprint Method: Sand Carve - Show your appreciation to a dedicated employee with the Times Collection! 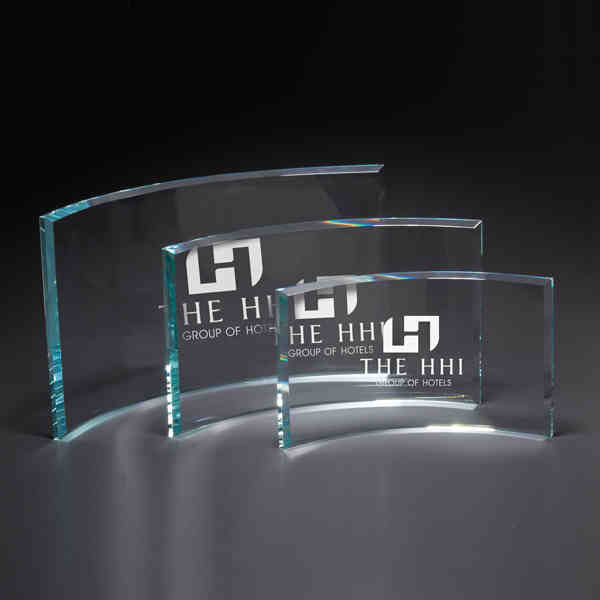 Exquisitely crafted out of robust glass, these free-standing awards feature beautifully curved shapes and beveled edges. An exceptional way to acknowledge contest winners and those who commit themselves to superior performance. The Times Collection features different sizes and may be customized with an individual's name, corporate logo, or a brief message. Made in the USA! Size: 5 " x 9 " x 0.38 "